Oak, Maple or Birch, all types of trees, shed leaves. The leaves create a mess in the garden, and it is important to get rid of them. The easy way to clear the complete mess of accumulated trees in your garden is by using a leaf blower. They are not any seasonal tool and come in handy whenever needed. First, know whether you need the leaf blower or not because it is noisy and may disturb your neighbors. It is also important to use the leaf blower correctly because many people just blow the leaves into the walkway from where the leaves will be again blown into their house or their neighbors. If used correctly, the leaf blower is the best tool to clear the mess present in the garden. But it is important to pick the right leaf blower for your garden. There are many types present in the market; you have to pick the right one that suits your requirement. As the name itself says, these are the types of leaf blowers that are helpful to clean places like driveways or decks or small size gardens. Cordless blowers or corded electric booms fall under this category. 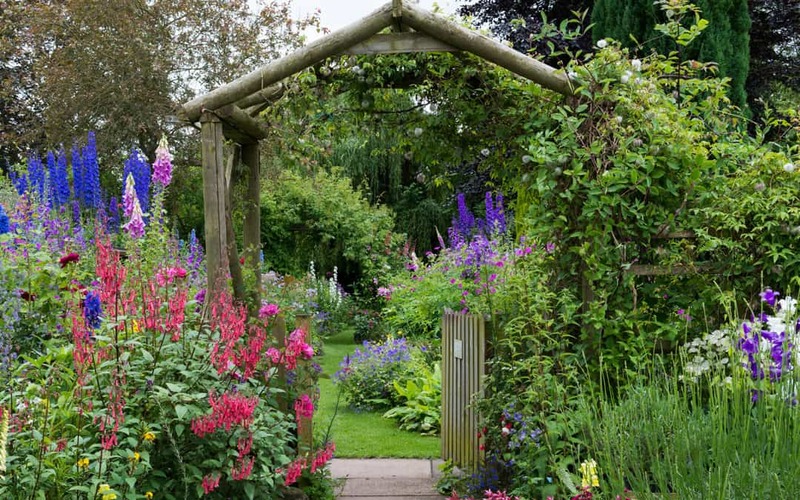 If you own a small garden, then this is the right choice for you. As they don’t have big fans or motors, the noise is very low and won’t cause any disturbance. When you are going to clean a big lawn, then heavy duty blower is required to carry out the work. The heavy-duty electric blowers consist of 150ft wire which is essential to run over the lawn and clean the leaves. They are quiet and very convenient. Most of the electric blowers consist of vacuum option that lets to store the leaves after cleaning. They are heavier, more expensive and noisier gas blowers. They are suitable for yards which are as large as half an acre. They run with the help of Gasoline. Most of the handheld gas blowers don’t have leaf vacuum option this makes it hard to store the leaves after cleaning. These are similar to the handheld gas leaf blowers, but it can be worn as a backpack which reduces the stress on the hands. They are the heaviest and most powerful leaf blowers that are present in the market. They are for big leaves present in the market. They are noisier compared to other leaf blowers and should be used only if there is a big lawn which is half an acre or more. Using this leaf blower for small lawns is nothing but the waste of money and the huge inconvenience. The gas blowers come at various prices. It completely depends on the requirement of the user. For small lawns, a compact leaf blower like light duty one is enough, and it is cost-effective compared to the other models. If you go with electric gas blowers, then you are left with two options. Corded leaf blowers can be used for various applications, and they work until the power is supplied to them. The disadvantage with corded leaf blowers is that they must be used up to a limited area. If your garden is filled with trees, bushes and it is tough to navigate through it, then corded leaf blowers are not a choice. Cordless leaf blowers are compact and can be taken anywhere. But the batteries present in them won’t work for more time and may fall short of your requirement. All the types of soil consist some amount of iron in them. This could interfere your search for treasure, jewelry, coins or any other valuables. The ground balance present in the metal detector will help you to bypass the iron present in the soil. There are different types of ground balances. Most of the modern metal detectors have circuitry that detects the unwanted metal and adjusts itself automatically. The manufacture presets the ground balance at a certain level and works in mostly all search environments. It requires the users to adjust the ground balance every time they are detecting. There are multiple ground balance metal detectors which allow users to set the ground level automatic or manual according to the requirement. Discrimination is the ability to detect the type of metals. When you are getting a signal, the discrimination helps you to know whether the signal is coming from trash or treasure. This avoids the efforts of digging up the trash unnecessarily. The operating frequency of a metal detector is the count of the number of times the signal has been received or sent using the metal detector. Most of the regular metal detectors have low frequencies as the metal detectors with high frequency are sensitive and receives the signal from every type of metal irrespective of its size. The particular depth until which the metal detector can search for coins and other metals is called depth. Metal detectors with low frequency offer more depth compared to that of high frequencies. The depth depends on the search coil size as well as the composition of the soil. The larger the search coil, the deeper it can search. It is the ability to notice the metal objects from a distance. It is better to lower the sensitivity to detect the metals accurately. Target identification is a great feature present in metal detectors. It can distinguish between the types of metals that have been identified. The output comes with a large noise if the item detected is precious and comes with small noise if the item detected is junk. These are some of the things that must be known by the user before selecting the metal detectors. Some things must be considered before buying a metal detector. Price-Know your budget before buying a metal detector. Most of them are the same cost but if it is your first detector then start with low price one. Use-If you want to use the device for long hours then go for a device with more electronic attributes. You must decide the model that you want to buy based on these factors. Pressure Washer is the best way to eliminate the dirt and grime present from the surface of the driveways, concrete surfaces, and buildings. Pressure washing is also called as power washing. It is used to clean the surfaces using high-pressure water spray. If you are planning to purchase your first pressure washer, there are many things that you must consider. The pressure washer needs some extra accessories that must be added. Tap connector to the hose, detergent, and a hosepipe are essential to run a pressure washer. Some people add more accessories to increase the applications of the pressure washer. Some pressure washer chemicals are used to perform a wide range of cleaning tasks. People add brushes to their power washers to scrub the stains and residues away. While some other people use angles wants to clean the gutters. Using wands can make it easier to clean the exteriors of the home. The power of the Pressure Washer is an important factor to consider. It completely depends on the usage of the customer. If you want it for light use, then you can select pressure washer with less power and the factor is similar to all types of pressure washers. It also completely depends on your needs. The higher the pressure of the washer, the easier it is to clean the dirt. Pressure and power are directly proportional to each other and if the power is more the pressure of the washer is more. The pressure is measured as bars. The usual pressure washer must have the pressure of 100 bar to 180 bar. Some of the pressure washers are heavy. So a longer hose will help you to avoid carrying or wheeling the pressure washer around. It is helpful while cleaning car as you can just move with the hose without any need to carry the complete washer with you while you are roaming around. As stated earlier, the requirement of additional accessories completely depends upon the needs. Each pressure washer comes with different set of accessories, and it is up to the customer to pick the right one according to their requirement. The additional accessories can be brushes, wands and many more. Start with widest spray angle and reduce the angle after some time. Do not get closer than 6 inches to whatever you are cleaning. Don’t use pressure washer when you are standing on a ladder. Don’t point the nozzle to any other person, pets or yourselves. Don’t use any extension cords with the electric powered model. It is important to keep your lawn clean and beautiful always, so getting the best tools to tend to your garden is of utmost importance. Gardening is considered to be one of the most loved pastime activities by people all over the world. It gives immense pleasure to hobbyists and professionals to see a beautiful garden in full bloom. And suitable garden tools to work with certainly can boost this experience manifold.